Learn all about CPR training valves and other tools that might be used in order to save a life. Learn how to properly install them in your training mask and when to discard them. Give us your Feedback on the CPR Feedback Device: pun intended! The CPR feedback device provide, real-time, audiovisual and corrective evaluation. DALLAS, August 15, 2017 — The American Heart Association – the world’s leading voluntary health organization devoted to fighting cardiovascular disease – will now require the use of an instrumented directive feedback device (CPR Feedback Device) in all courses that teach adult CPR skills, effective January 31, 2019. The devices provide, real-time, audiovisual and corrective evaluation and instruction on chest compression rate, depth, chest recoil and proper hand placement during CPR training. Most of you have now heard about the new AHA guidelines concerning the new CPR feedback device. Above is the official statement from the AHA. Continue reading Give us your Feedback on the CPR Feedback Device: pun intended! Posted on October 12, 2017 February 25, 2018 Author MCR MedicalCategories CPR Feedback Devices, Prestan CPR ManikinsTags #CPRFeedbackDevice, #cprratemonitor, #cprsaveslives, #cprtrained, #cprtrainingvalve, #mcrmedical, #prestanmanikin19 Comments on Give us your Feedback on the CPR Feedback Device: pun intended! Our re-inflatable masks are hard to beat. 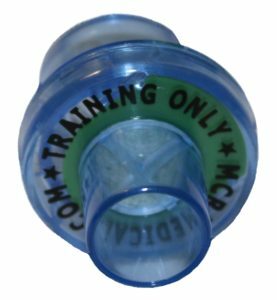 Why should you try re-inflatable CPR training mask by MCR Medical? Because these particular masks allow you to customize or refill your training mask’s air bladder! 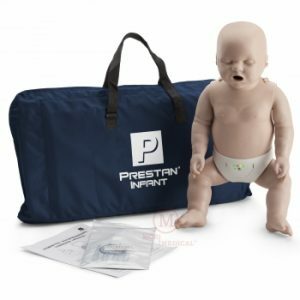 With the included syringe, you can add or remove air from the bladder, individualizing the CPR training pocket mask to best fit the contours of your manikin. Reusing one-way valves is defeating the purpose of the valves and goes against CDC guidelines.